OUR SUMMER SALE IS HAPPENING N--O--W!! GET -- 15% -- OFF!! ALL REFRIGERATOR, WASHER / DRYER, DISHWASHER REPAIRS! Just LIKE this PAGE, Leave Us a COMMENT to Say You LIKED Us, and GIVE US A CALL at 503-258-9635 TO SCHEDULE YOUR 15% Off SAVINGS N---O---W -- ! Have you been WAITING to get that Refrigerator or Ice Maker Problem taken care of? Are your Washer & Dryer running at optimum performance for all that extra Summer laundry? THIS IS THE SALE you've been waiting for!! -- GIVE US A CALL and SAVE right NOW! Well, folks, our Northwest Summer is now upon us! We often take for granted that our ice maker will continue making fresh ice on a regular basis, and we especially want it on really warm days. Unfortunately, if our lovely ice maker goes haywire, so can we! So to help, here is Part II of our Ice Maker Troubleshooting Points that address more of the most commonly reported refrigerator ice maker repair issues. Complaint: Why do the ice cubes have a bad taste and odor? Generally the water filter needs to be changed out about every 6 to 12 months. A bad odor or taste may just be the result of the filter not being changed recently. If the ice has been in the receptacle for awhile, you may want to get rid of it and start making fresh ice. 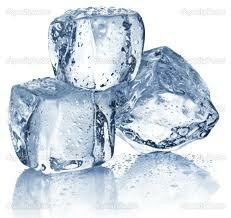 Over time, ice will absorb any odors present in the freezer and refrigerator. We recommend Arm & Hammer Baking Soda, "Fridge-N-Freezer" refrigerator/ freezer Deodorizer Boxes. This is a great product that effectively absorbs strong food or offensive odors in your freezer/ refrigerator before the ice can absorb them. Just open a box and place it in your freezer close to the ice cube receptacle, and it'll help keep your cubes tasting fresher for longer. Complaint: There are weird, white blotches or specks in the ice cubes. 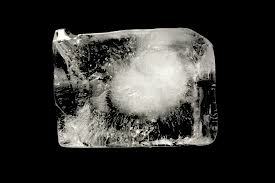 White blotches or specks that are sometimes visible in ice cubes are due to calcium carbonate deposits. 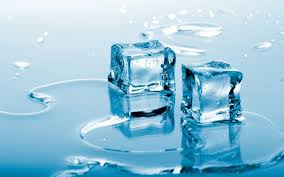 As the water in the cubes gets colder during the freezing process, less mineral content can be suspended in the water. These normally invisible mineral particles begin to be visible as the cube freezes. If you want to reduce or entirely eliminate the amount of the calcium carbonate deposits, or "white blotches," it's a fairly easy fix. Just always use a proper water filter, one that's designed for your particular brand and model of refrigerator / freezer. If you need help installing a new water filter, or with changing out the old one, just give us a call! - We'll be glad to help!